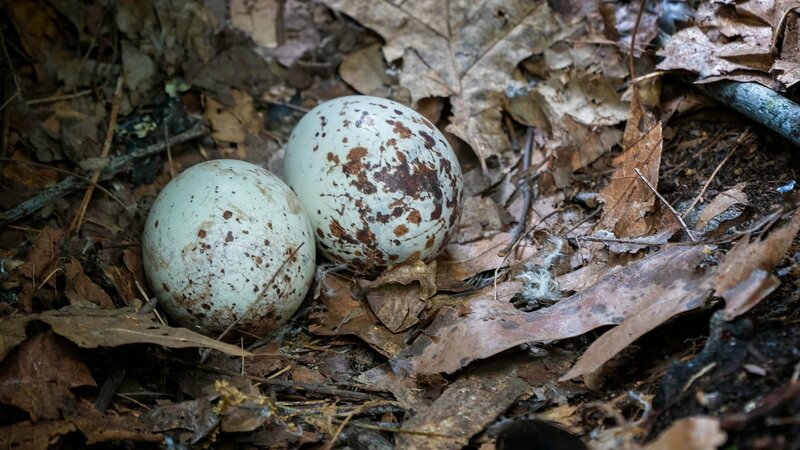 As you can see above the young Vultures waste no time going from an egg to something recognizable and with a good set of “vocal chords” though not very melodious…..:) as they do their best to scare me off. 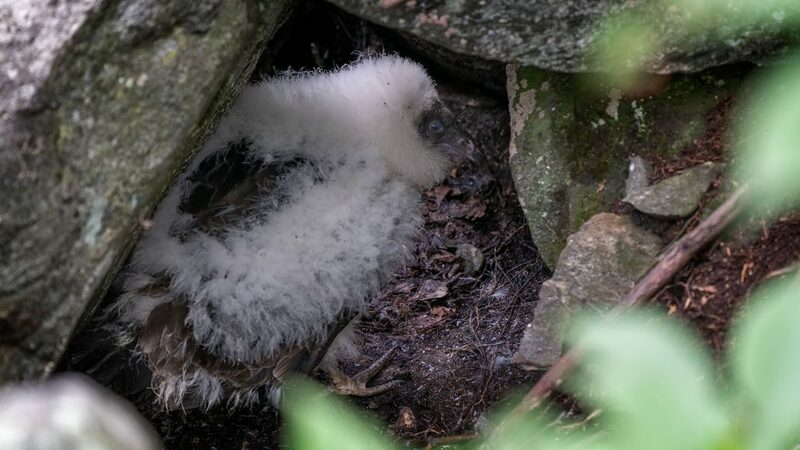 A return visit on June 24 found the two fluffy youngsters hissing at me again. The adult Vultures made a brief flyover so our stay was quite brief. 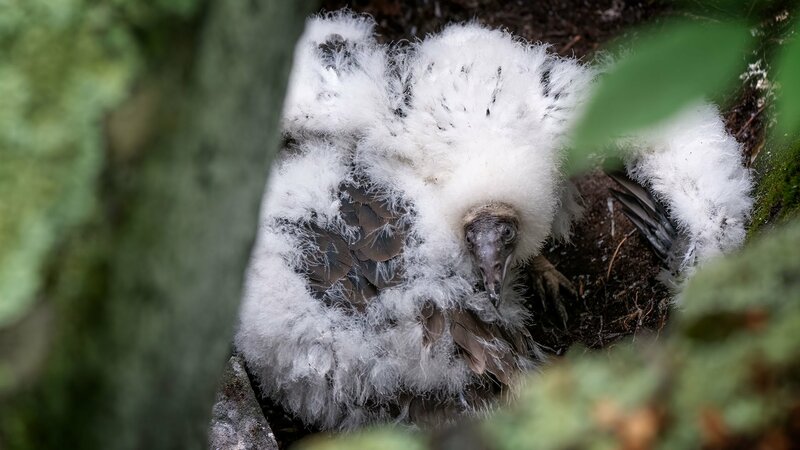 The two images above were taken on July 15, 2018 and show the still down covered youngsters starting to gain their flight and body feathers. Turkey Vulture young hissing at the intruder. This audio was captured on July 4, 2018 with a parabolic dish giving both the Vultures and myself ample distance to feel “safe”. 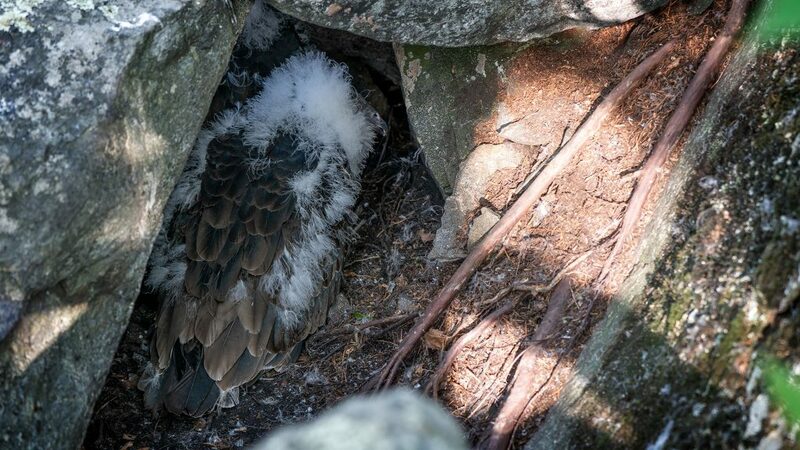 The image on the right was taken on July 29, 2018 and shows both young Vultures (the 2nd youngster is hiding under the rock overhang above it’s sibling) with the bulk of their feathers and more than a bit of down. 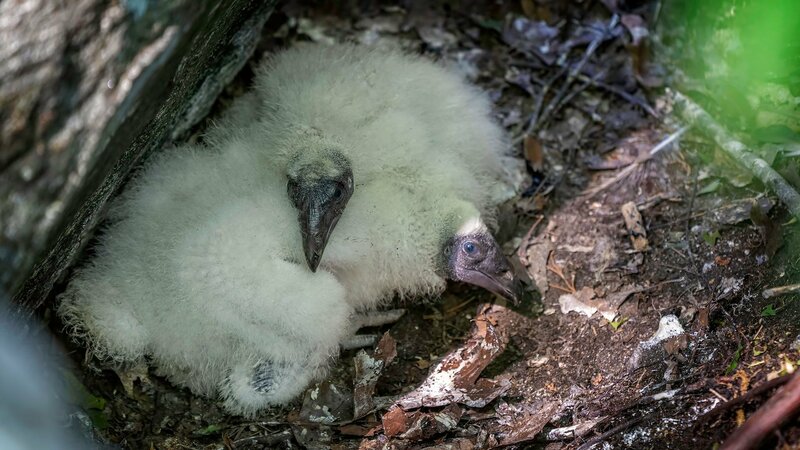 My next visit in mid August should find them off the nest and roosting nearby. 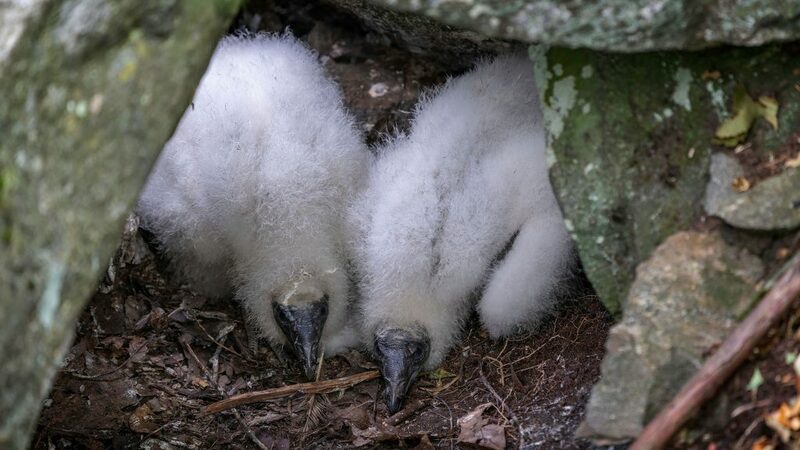 They’ll leave the area around the nest towards the end of the month joining their parents and most of the other Turkey Vultures as they head south for the winter in a milder climate.